We like to wear white bottoms all year-round, but if you're a traditionalist, it's officially time to get them out. Accent your bright whites with bold pops of color for a fun and festive touch. And no matter what your Memorial Day plans entail, we’ll help you find an appropriate look to celebrate in style. Keep reading for some style inspo. Let’s face it, there will be lots of phones and plenty of selfies. Stay camera-ready in a fluttery top and add splashes of blue and red to create a subtle patriotic vibe. 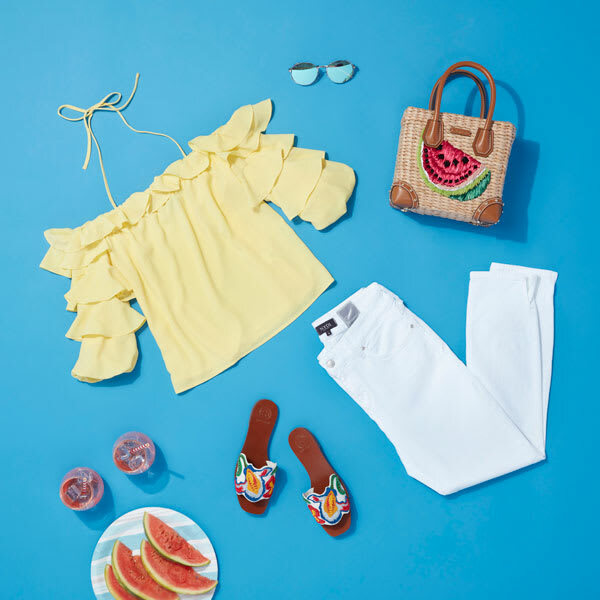 Complete the look with a pop of red lipstick and a too-cute-to-handle straw bag that deserves a ‘gram all of its own. Tropical printed shirts are to summer what burgers are to a BBQ—essential. Beat the heat in a flattering pair of high-waisted cut-offs and an airy linen top. Keep it playful with coordinating wedges that not only elongate your legs, but also keep you from sinking into the grass. When you want to focus on the important things—like eating—comfort is key. 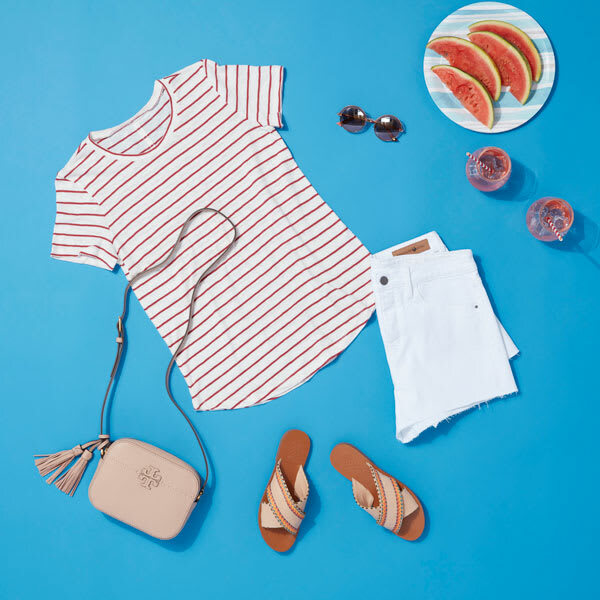 This tee-and-shorts combo is casually low-maintenance, but still far from boring. 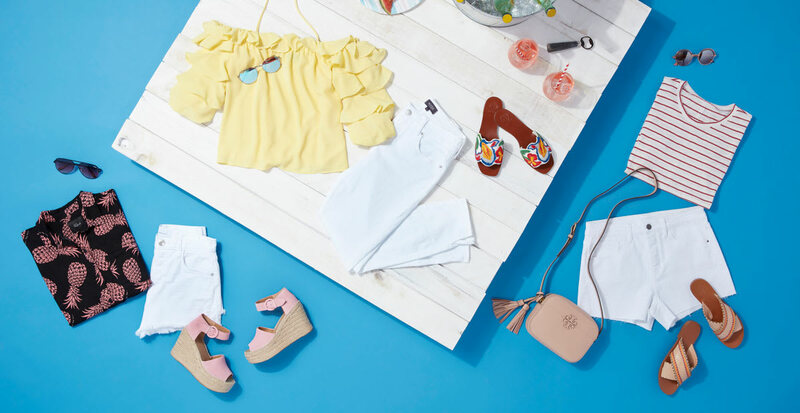 Use accessories, like colorful sandals and gradient-lens sunglasses, for a little punch.